Your cheesy little grin, melts your Mama's heart. Your Dad beams with pride when you say, "Dad" all day, everyday. 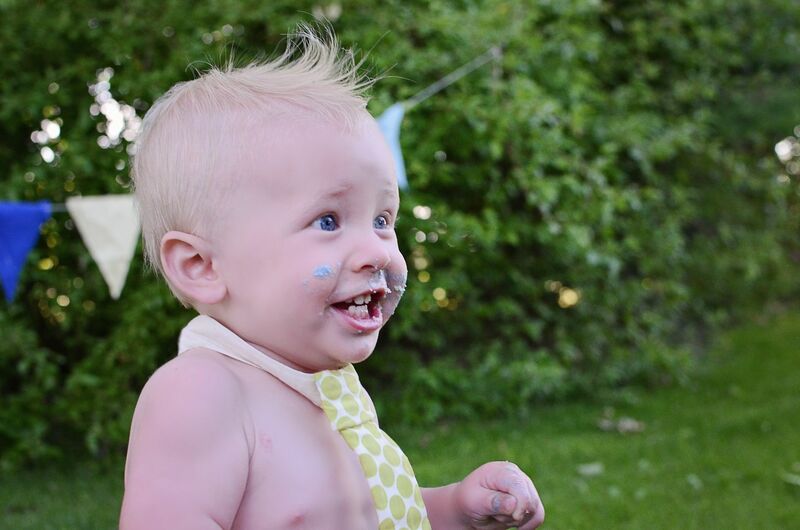 such an active happy one year old little boy. I bet he certainly didn't. We LOVE you Sledge Hammer. And pray we'll be able to watch you grow for many years to come. 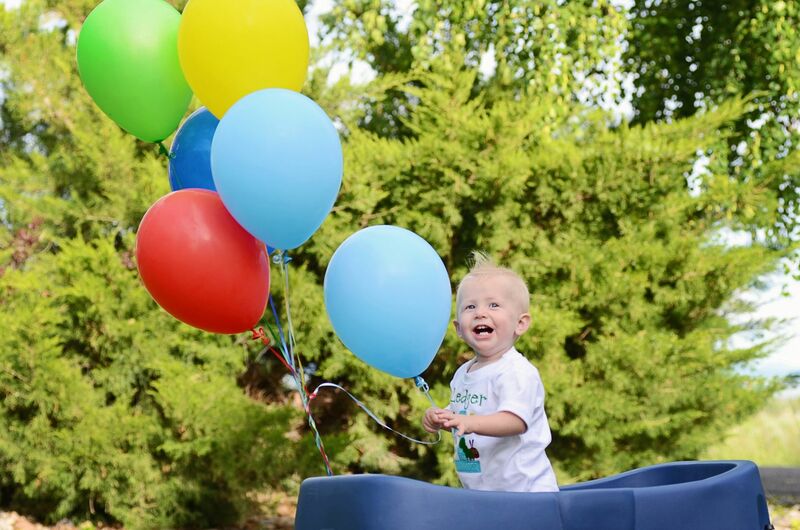 Thank you for sharing Ledger's 1st birthday pictures. 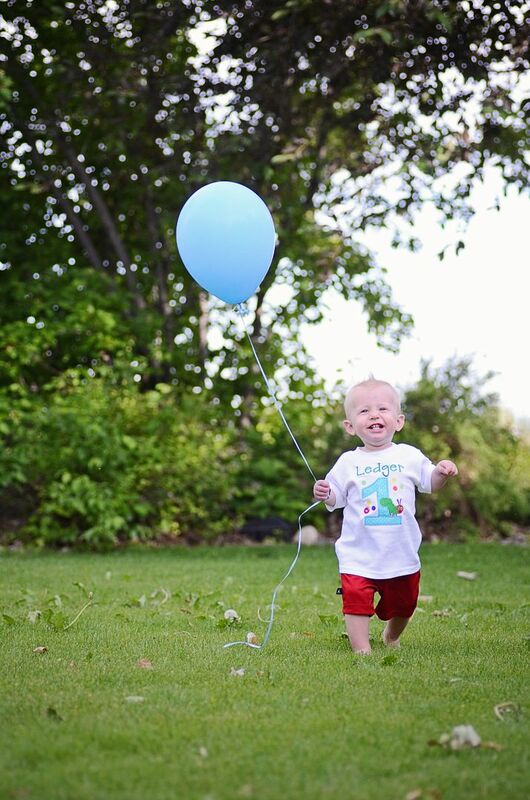 I enjoyed each one, but I think my favorite is the one of his expression when the balloons have sailed into the sky. Most toddlers would have cried, but he's so surprised and in awe. I just love it. He is so cute!! 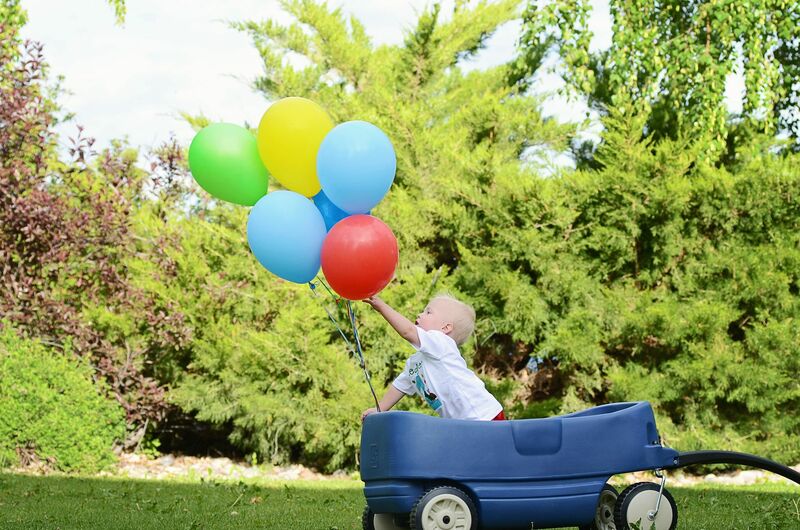 He looks so happy in these pictures, happy birthday little man! Love his exuberance. He's going to be such a handsome man. Happy Birthday Ledger!!! What a handsome little boy you are. 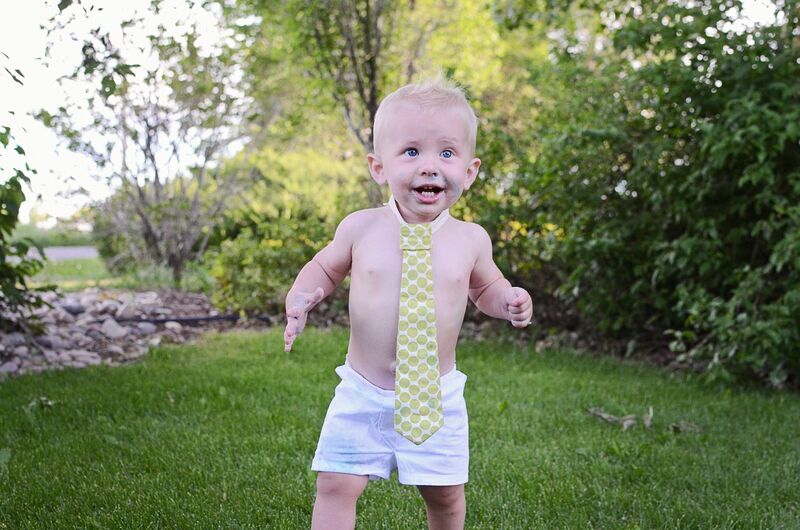 I love the tie! :D And the close up of his face is absolutely fantastic. 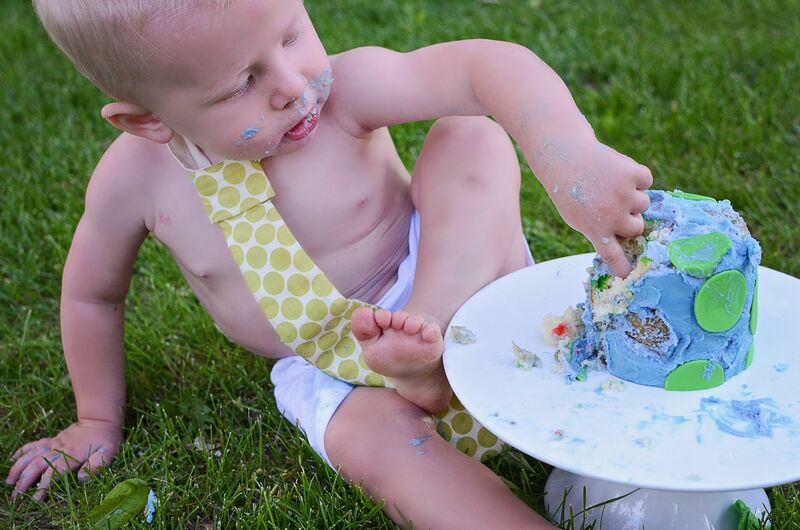 I LOVE those first two of him with the tie on and eating the cake. So cute! Happy Birthday Ledge! These are some awesome pictures! My fav was the one of him with his mouth wide open, big eyes looking up to the sky! 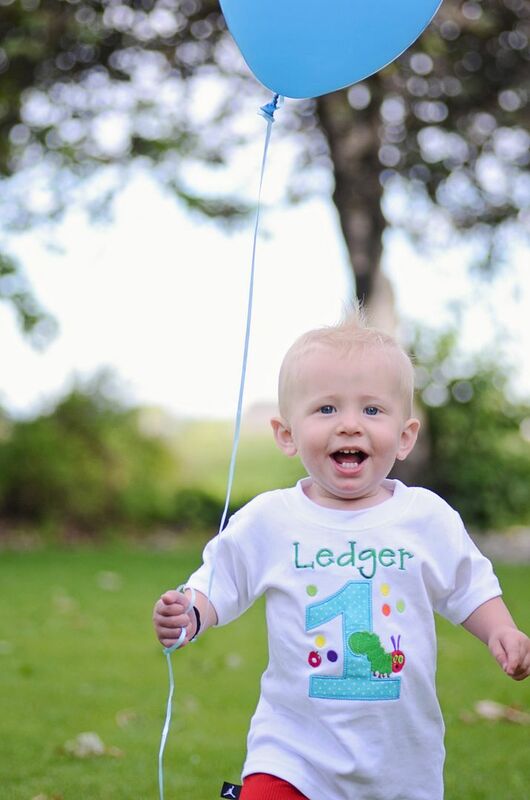 Happy 1st Birthday Ledger! Happy Birthday Ledger!! your such a cutie! those pictures are awesome what a little stud you've got. Can't believe its been a year! You captured some great shots here - that's a brilliant one with the surprised expression on his face. such cute pictures!! happy bday ledger! he's just so beautiful! happy birthday sweet boy!! Happy Birthday Ledger! We are birthday twins! 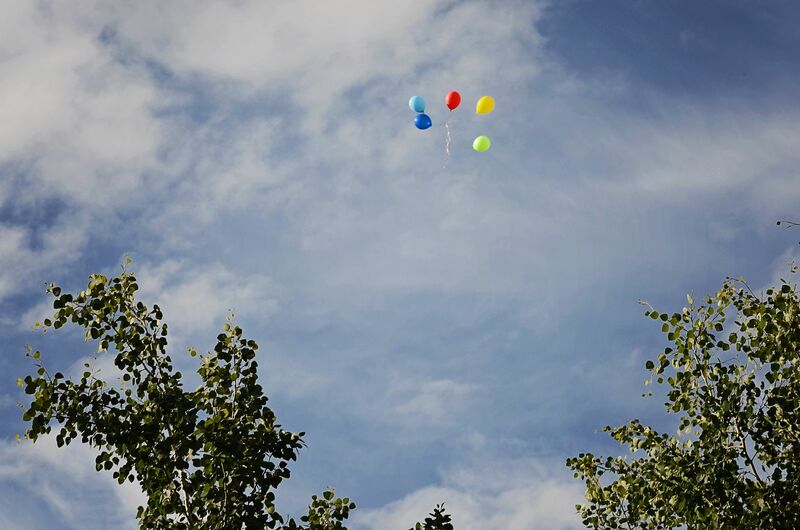 :) Love following your blog! Love from Florida! WAHOO!!! Congrats! Happy Birthday little man! He is adorable!!! Happy birthday little guy!! These pictures made me tear up with his joyful face... Happy birthday, Ledger!! Where did you get his cute shirt? p.s. That's my prayer too! 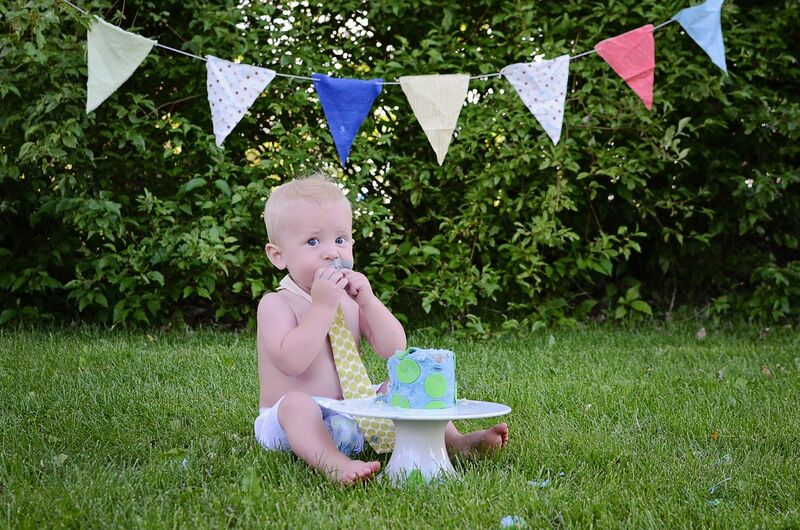 Happy 1st Birthday Lil Man Ledger!!!! What beautiful pictures of a handsome lil man! Such cute pictures!!! I hope he had a great birthday!!! Ashley, Your little Ledger is such a doll. I'm so happy for you. I wondered if you would reach out to Cindy Hansen in Texas. She just lost her 4 year old son to cancer and is going through such pain. I'm sure you know the right thing to say to her since you've been there. I would appreciate it very much. 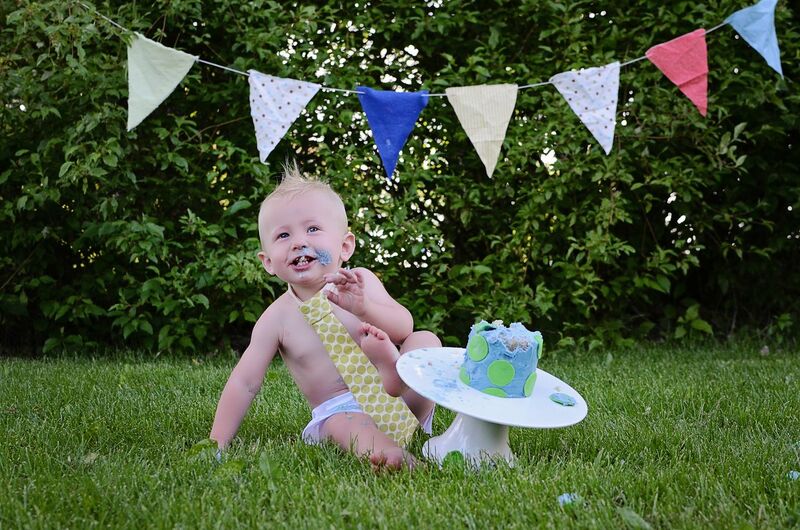 Oh my goodness you seriously got some dang cute pictures of that little Ledger! I know I already said it on FB but Happy Birthday Ledger!! Can't wait to see how hos party turned out! I saw those cute cake pops you were making!! Can't wait to see more!! 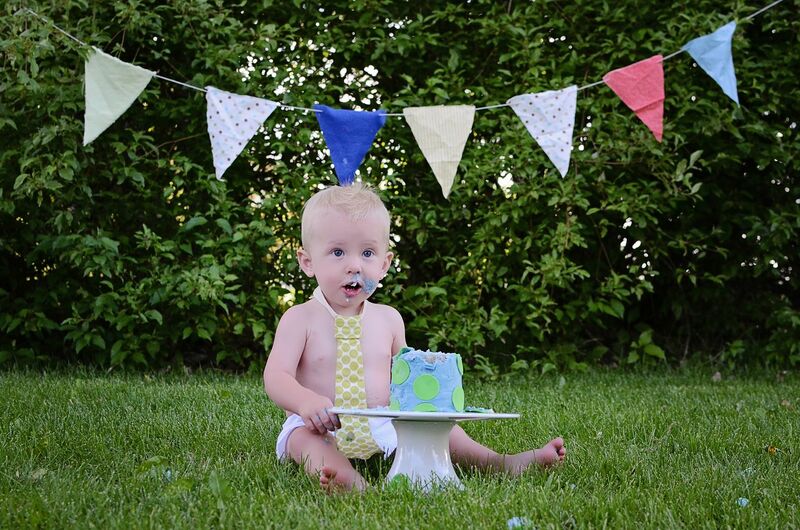 Happy birthday to your handsome one year old boy!! 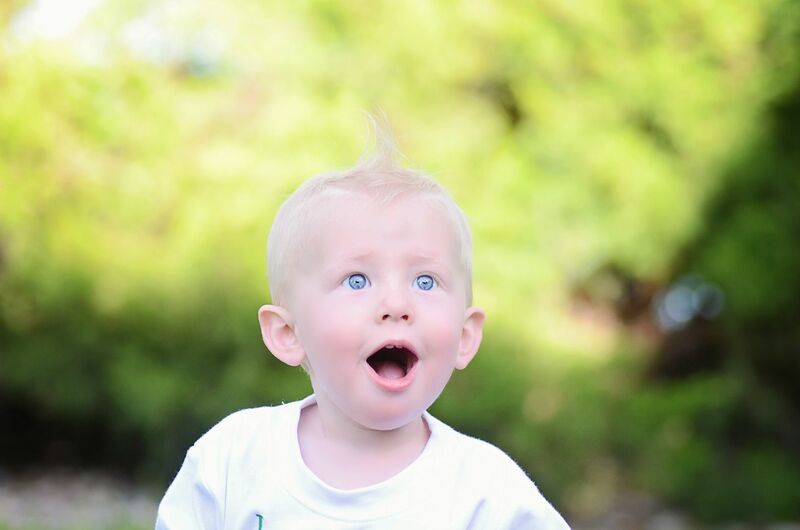 he looks darling in his pictures, it goes by so fast!! Adorable pictures! 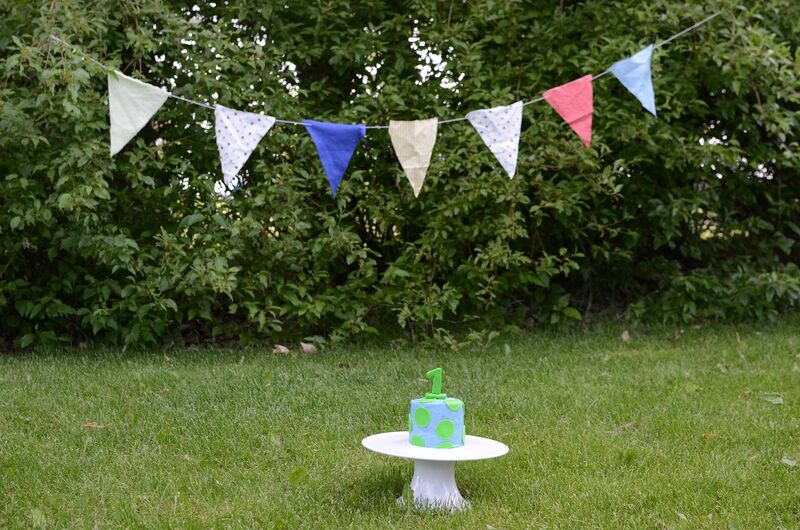 Love the cake ones and the balloon ones too. His smile is priceless! Happy birthday little man!